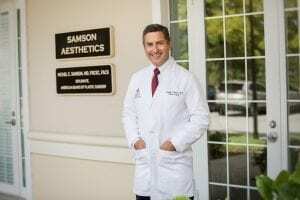 Our plastic surgery practice Samson Aesthetics has a large number of patients who travel to our lovely beachside area in sunny Florida for their cosmetic procedures. Samson Aesthetics is just minutes from the Daytona Beach International Airport and ocean side luxury accommodations such as The Shores Resort & Spa and the Hilton Hotel both located on Atlantic Avenue Daytona Beach Florida. The convenience of our airport and resort hotels make your plastic surgery experience one of ease and comfort.